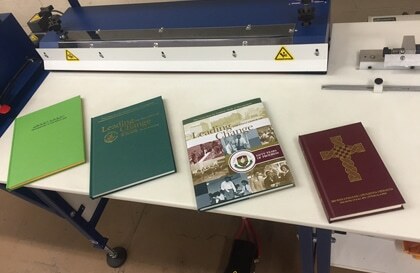 The ODM brand of book binding machinery enabled Wrap-Ups to enter into the ‘short run’ case binding market. Jonathan Niezing is President of Wrap-Ups, Inc. located in Fenton, Missouri. Wrap-Ups is more than just another bookbinding company, they are a professional, dedicated and close-knit team of people who enjoy what they do. Their dedication and commitment to excellence shows in everything they do. 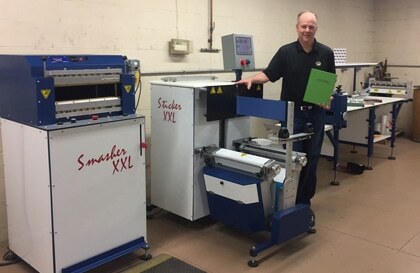 On Demand Machinery recently installed their XXL Series of bookbinding equipment that enabled Wrap-Ups to produce on-demand, case-bound, hard cover books in-house. It’s fast and easy to produce your own ‘library-quality’ hardcover books. The ODM bookbinding case making system is easily ‘scalable’ to fit your production requirements.